Hamstring injuries are the most prevalent of all GAA injuries accounting for 23% of all injuries and carries a prevalence of nearly 20% among GAA players. Hamstring injury is on the rise in the GAA. Comparisons drawn from an 8 year follow up study conducted during 2008–2011 and 2012–2015 seasons revealed a 2-fold increase in hamstring injury incidences. Hamstring strains in GAA can be subdivided based on their location in the muscle. 44% of hamstring injuries occur at the main muscle bulk of biceps femoris, which is the central muscle of the hamstrings. 25% occur at the junction where the muscle fibers meet the tendon. 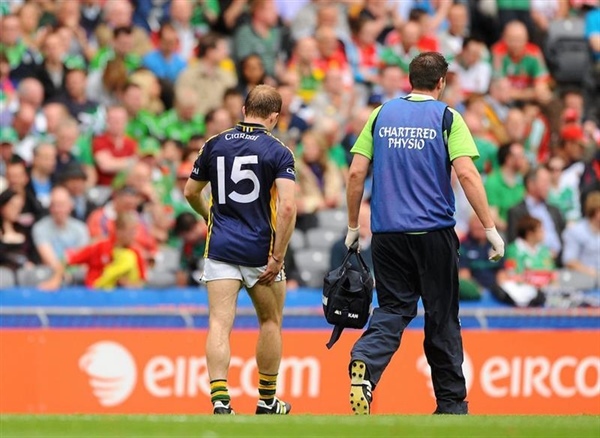 The risk factors are varied for hamstring injuries in the GAA. As per most sports and their associated injuries, a previously injured player is at heightened risk of a recurring hamstring strain. Similarly, players aged 18-20 or over 30 years of age are more likely to incur hamstring strain. Not all positions are equally at risk either- backs and midfielders are at higher risk of sustaining hamstring injury. This is likely associated with the positional demands and running requirements attached to the various playing positions. A vast majority of 98% of hamstring injuries are non-contact. Usually hamstring injuries occur during acceleration/deceleration. GAA players are 10 times more likely to sustain a hamstring injury in match play as opposed to training. From a time-loss perspective, Hamstring injuries cause an absence from play of 26 days on average. They amount to 31% of overall injury time-loss in the sport. The increasing standards of play and attributes that the GAA has adopted in recent years is correlated with increased load on its players and in turn injury rates that affect these players. The need for standardised injury prevention programs in the GAA is growing.